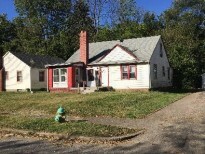 Three bedroom bungalow in established northside neighborhood. Home needs a little TLC, but major up side. Sun room in front is perfect for summer afternoons.